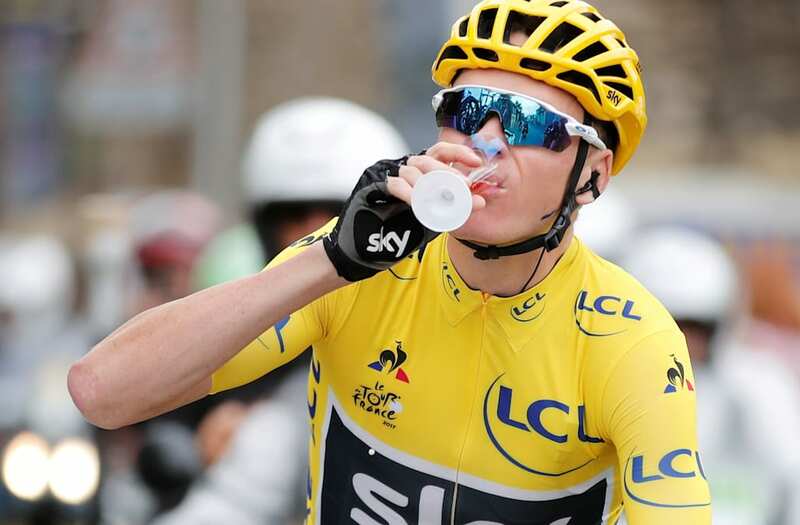 British cyclist Chris Froome won the Tour de France on Sunday. But before he could even toast his fourth Tour de France title, he helped a fan race toward an unforgettable marriage proposal. After crossing the finish line at the Champs-Élysées in Paris, Froome stopped by a group of people, reached into his pocket, and pulled out an engagement ring. "I've been carrying this around for three weeks with me," Froome said as he handed the box to a cycling fan. The fan, a Channel 4 journalist called Tom Calverley, then got down on one knee and asked his girlfriend to marry him. With cameras rolling, Calverley's girlfriend said yes. It gave Froome more than one reason to toast victory. A total of 198 riders entered the 21-stage Tour de France race and Froome topped the lot, beating second place Rigoberto Urán by 54 seconds.